I would like to see more arts and community projects. Music, dance, art. We need support struggling families and homeless people. I think more money needs to be put into our local mental health team. Mental health continues to be on the rise yet you have not mentioned our system at all. It�s a shambles and I have seen this myself from people around me needing the local mental health team / system and there not being enough help. That�s includes trained staff and easy access to the right help and support. The children�s mental health service we run in Maidstone is useless as is the adults and I see and here this over and over again and recently. We have good people wanting to help but not enough funding for them or for the programs that they need. Please do something about our local mental health system !!!! Maidstone used to be a very busy town. Now the shops are empty. In the mornings there is so much congestion as people leave Maidstone to go to their place of work. We need more businesses and jobs in Maidstone. Make Maidstone a cheap place to set up a business and less businesses will go to London. There seems to be no business that have a flagship site or head office in Maidstone. Businesses will draw jobs and prosperity. Tidying up our street stop waiting money on poor road surfaces and get the companies who dig up our roads and replace it with poor quality to pay to fix it through recognized companies you recommend. Housing and homelessness should be number 1 priority. The council must strive to be more economical, this is likely to involve investing in technology and to work more closely with other councils and agencies e.g. the way Kent and Essex police work. The housing planning department appear incompetent (seriously - how do they keep their jobs?) It is one thing to meet house building targets and another to drastically reduce the quality of life in the area that you build them. Notably Barming/Aylesford and Hermitage Lane in particular. I would like to see less money being poured into Maidstone town centre projects and more being spent on facilities for outlying villages. Good Planning to ensure a good environment and public services. Any services that are not necessary then the individuals should pay for as this is a choice. Money should not be spent on housing people from other boroughs or areas and they should not be housed as those originating in the area should be prioritised. There is too much building on green belt without any infrastructure, not enough attention paid to brownfield sites and regenerating the town centre. Park and ride is a waste of time and money, encourage people to come into the town centre by scrapping car park charges in the town centre. The buses are too large in rural areas, reduce them to the size of minibuses and they are more likely to be full and run more efficiently. We urgently need a decent theatre in Maidstone. As the county town it�s rubbish! Housing should be a priority. Additional work opportunities enable people to be housed and take a pride in their environment, reducing other costs. Lockmeadow Market is a mess and should either be improved or closed down as it is a waste of money in it's present form. More opportunities for small businesses (food etc) should be created in the town centre to draw more people into what is supposed to be the County Town. Love the redevelopment of the town centre but not supported by development of new trading to encourage people to come. You have to sort out the mess you have created by allowing the building of too many houses and not creating the infrastructure to support all the extra people. The major road network is not appropriate, there are not enough schools and medical services - this results in poor business performance and dissatisfied residents. Encourage business and developers to regenerate town centre. Better contracts for town improvement, Gabriels Hill etc. very extravagant when money is tight. Parking; especially S1; too many permits, especially so called visitor permits, too often used as a second vehicle permit and are sold by some residents! Scrap the current visitor permit, charge a �1 a day, scratch card style permits, sell in books of �20 -�25... There would be an increase in revenue.... use to subsidise Park and Ride; trial on S1. Also ban illegal conversions of gardens to private parking... Hastings Road is a mess as is Upper and Lower roads. Mote Road car park is under used. Ban commercial vehicles from S1 and allow permit holders to park there, or charge a �1 a day! Everyone should have offer of at least a room with bed, basic food supplies& toiletries,chair & table of their own, & basic facilities which could be shared. Safe environment for all. Fast removal of all items that are hazardous to health. Keeping people safe is top priority. More CCTV investment and use of technology. Increase charges for planning. Review use of brown field sites and empty buildings that are falling into disrepair. somehow money needs to be found for housing. far too few landlords accept benefit these days they do not need to with so many working people unable to get a mortgage. as someone who works on the Maidstone homeless shelter every winter it is sad to see so many people without a home and little chance of getting one as things stand. Planning Department needs a shakeup. Poor value for money. Free waste disposal - persuade KCC not to charge Listen to the Community Pay members only expenses. Make car parking costs support retail offer in Maidstone. Do not take development risk - Pump prime Listen to the market. Take proper advice that is not dictated to by questions that provide the answer the Council wants. Advice needs to be unbiased, market-driven, and based upon due diligence and experience which MBC might not have in-house. It is important to support those in the community that most need help; the elderly and the ill, for example. Arts centres and theatre, while fine in principle, are luxuries that should meet their own costs in austere times and not divert funding away from the primary care (people and environment) responsibilities. Try to get local businesses to sponsor some of the facilities that are in danger of getting cut or losing funding, to avoid having to cut back if at all possible. Let them have advertising space on council facilities in return. Basically, when I see that litter is not picked up before the grass verges are mowed, chewing up the litter, tells you all you need to know! Building Control is vital - stop the horrendous uncontrolled sprawl of new housing estates, particularly on farmland/greenbelt. The council has wasted huge amount of our council tax in the last couple of years on the Fairmeadow road changes (which seem to have made things worse) and on lining the subways in marble but failing to pump the river water out of them. It did not spend enough fixing the Tonbridge road sinkhole - 6 months is a totally unacceptable length of time to have a major thoroughfare blocked. It now seems to have decided to spurge on replacing Week Street's road surface with bricks, which I hope does not turn out to be a vanity project. Build proper council houses, use the rent to help the elderly escape from housing associations who don't care about them. I am not impressed by the unrealistic "modal shift" concept. This is putting your head in the sand. People will continue to use their cars. The infrastructure is not there to support all the new housing being built. Fight the ridiculous government targets for building. Budget priorities should be aimed at Mali g the town a safer place with less land being plundered. Facilities and parking for disabled people continues to be reduced though the allocated spaces being taken up with long-term building projects and no alternative spaces are being made available. As a blue badge holder, my ability to visit Maidstone town continues to decrees and we are a growing population. Please give us more support. I think you completely misuse the money and if you managed it better we wouldn't have to pay more or cut services. Stop putting money into the pavements and roads in the town centre, stop cutting down all the trees, reduce the business rates to attract better retailers. Recent years have seen the massive changes to the finance of the Borough. Facilities within the town have been raped leaving few public toilets. planning allow stupidly small access roads for new housing estates trying to satisfy the developers and maximise the number of houses per metre. Providing insufficient parking leading to access restrictions for dust carts and emergency vehicles. The planners do not visit sites they have granted permissions for or they would be changing the rules!! Tourism promotes income, but coming to maidstone cost too much to park, if you can find a space. Look at Sevenoaks and Tunbridge Wells. some areas of the budget have been repeatedly cut and now are in need of more staff to make them work. I suspect a lot of skill, knowledge and experience has retired or moved to the private sector to get a liveable wage. A 5 to 10 year recovery plan needs to be started to improve the quality of service provided and this will cost more money. 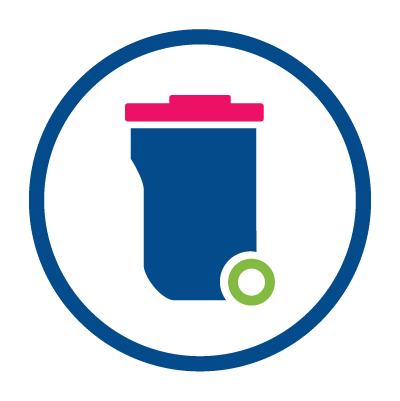 Stopping waste within the councils operating systems to streamline service. Environmental Protection should be a budget priority, particularly in Parished areas where there has been a large amount of housing development in recent years, with more agreed, though not visable yet, which will have a huge image on our environment and the quality of life of current residents. Anti-Coalescence policies/Rural Buffers/Geen Zones are vital to prevent Maidstone's rural Parishes morphing into another Milton Keynes (particularly in Otham, Langley, Boughton Monchelsea). Building more roads is not the answer, as will generate even more traffic and toxic fumes. The way ahead is better public transport, useable cycle lanes and more footpaths through the countryside, linking Maidstone towns and villages. The town centre is the most sustainable location for future housing development, as it has transport links to London and Ebbsfleet for employment. More living in the town centre would help boost the local and save our High Street. With an ageing and therefore more vulnerable population greater emphasis could be made to cover the needs of this group in our community not least in housing and easily accessible services such as GP's, Day centres etc. With a greater variety of available BUT AFFORDABLE housing there would be more encouragement for increased exchanging of suitable housing right across the age ranges i.e. from young families/couples through to the elderly in 'managed' facilities. Far too much attention is given to the town centre. The environment within a few hundred yards of it compare most unfavourably with it. Examine and reduce allowances paid to councillors who, with one or two exceptions , deliver poor value and who seem to be content to waste ratepayers' money on going to court. Homelessness and anti social behaviour in the town centre need to be a top priority. My current experience of the planning function suggests that the Borough is too rooted in its aspiration to grow housing provision (because it will bring in more council tax?) to undertake proper, forward looking planning for the future. As a result, we are already suffering from over-strained infrastructure, and this can only get worse as current building developments progress to completion. This is a massive failure. Priorities should be a clean , green and tidy borough with improvements to the Town centre . Ease traffic pollution and support the High Street retailers. Stop funding gypsies. That wanna travel then let them travel. The priority has to be the creation of a well functioning place. If the town functions well in terms of transport strategy, growth strategy, housing provision, urban regeneration of and management of the public realm projects (such as redevelopment of the river frontage & stone street) will when done properly create a prosperous society that will then enable all of the other aspirations....currently we have a poorly functioning borough which has no clear/planned spatial strategy for growth or transportation which is resulting in constraining the borough from achieving its aspirations. Too much money has already been spent on Maidstone Town Centre with little benefit to the local economy, witnessed by number of empty shops. Financially you are scraping the barrel, but enforcement of the law and protection of citizens must be a priority.The council made a dangerous mistake in moving the town's CCTV centre.This is still a vital tool in the council's duty in protecting it's citizens.The ridiculous programme of building so many more houses has the one advantage to the budget, of providing more revenue from council tax. The town centre has lost any charm it had and the ridiculous traffic circulation situation drives people away. Pretty poor for the County Town. Spend less providing homes for people being transferred from another authority and concentrate on help for those who have lived and contributed to the local economy. A more common sense approach in the management of planning and approvals, particularly regarding large new developments with inadequate parking or in areas where the infrastructure is simply not capable of taking the additional load. Whilst it is easy to approve new schemes to get the extra council tax and let Kent Highways try to pick up the pieces with the roads, this approach ultimately leads to more congestion, longer journey times and poorer environment or all concerned. Don't ignore Kent Highways because of the extra council tax you'll e receiving - McDonalds / Aldi at Hermitage Lane?! Free bus passes for over 65. Buses are full of non paying retirees. How r u supposed to pay for fuel, maintenance and drivers. Think if pensioners had choice of no free buses or 50p per journey. They would pay 50p per journey. This is a national matter i know. More people who can pay for services should. Like park & ride other services like car parking should allow disabled parking but still charge for it. Bus passes should not start until 70 years of age and improve the services with the savings. Prevent use of high street by all cars as rarely any measures to stop them. Make pudding lane and mill street all disabled parking one side only with no access further up high street. The town is a mess is it pedestrian or not as paving leads people to feel free to walk anywhere until you realise it has practically full use by transport. Including week street. This is a com0laint I hear on the buses and in the cafe's regularly so seems to matter to a lot of the town's people & visitors. Buses don't go through Canterbury town centre or taxis and the route around is far bigger. Also not seen disabled vehicle drives there. Park and ride is good in both towns. I'm growing increasingly inclined to visit Canterbury as you can walk safely. loss of social care day centres has had extra burden on care in the community. Still problems with local minor crime and presence of policing. Street cleaning and waste collection not up to standard. Anti social behaviour is on the rise in all the new build social housing estates. Little is don by housing associations or police to manage this. Value for money is not being provided in the local community. Spend less on town improvements and more in the borough's other centres Example shepway shopping area Bring back bulky collection say every 2 months to each borough / community area. People need a good general service first and foremost. Essential things like refuse collection, keeping the town clean and tidy and a nice place to be, free from too much building and congestion. Then the other services can be added and will be more successful because of the firm foundations. LESS HOMELESS - MAKE IT BETTER FOR PEOPLE TO GET HOMES - BETTER SCHOOLS - MAKE SURE OUR PARKS ARE CLEAN AND THAT EVERY BODY CAN USE THEM. You cannot close the park and ride at Willington Street. Since the alterations to the service bearsted traffic especially on Willington Street has dramatically increased, always traffic jams at peaktimes. If this service closes getting out of the village will be near impossible. The services reduces the amount of traffic heading into/from town a lot. More money needs to be spent on filling shops and not to keep replacing pavements, which are causing people to fall over. Escalators are a disgrace at the the bus station as is the bus station itself. That is where money needs to be spent. Concentrate on making Maidstone an attractive place, other good things will follow. Park and Ride on each main road into Maidstone. Work with KCC to sort out the transport mess, in particular stop wasting council tax money fighting them in court. Whilst many things are desirable, health and housing are essential before we get on to any extras. To think of people living on the streets or families struggling with poor housing conditions is wrong. We need to care for the weak and vulnerable which ever box they fit. Council should press for better roads as the town badly needs a southern ring road. No more houses should be built until the roads can cope with it. Congestion in the area is getting worse due to all the new houses being built. I would like to see Maidstone Council protest against the number of new houses being imposed on it unless infrastructure is improved. Low business rates to encourage new start ups. Too many boarded up shops and expensive coffee shops. Look at Canterbury for the kind of small shops they have on their high st.
Due to increasing traffic and building with rising pollution, it is important to focus on providing a greener environment with much more focus on better recycling of waste and reduce pollution. Taking care of the environment now will safeguard future generations and increase quality of life and have positive impact on the environment we all share. Higher priority for homeless people. Higher priority for affordable efficient transport. I have lived in Ditton since leaving London in 1974. It was a lovely clean village, with community workers going round cutting grass, clearing weeds and picking up litter. Now we don't see any of this. Hedges are wide, you have to walk in the road to avoid getting snagged, trees hanging low so you have to duck to go under. Cars parked on road damaged, no note on it stating that it is going to be towed away or sorted. No Policemen or Wardens anymore walking round to move cars/vans off double yellow lines or preventing crime. It just seems a shame. This is where our money should be spent. Making the "Garden of England" look like it again. I feel you have been instrumental in ruin I g the countryside around and in our town by increasing building. I wonder if you really care. Maidstone is a filthy town and by far the worst place I have ever lived when it comes to dog mess, litter and fly tipping. There seems to have been a small improvement in the past two months but March-June this year I started driving elsewhere rather than walk from my house into town with my small children so I didn�t have to dodge dog mess. The fly tipping is also terrible with mattresses and sofas lying around all over town. It would be a good thing if Maidstone Borough Council received perhaps an extra �12 per year from each Council Tax payer. I don't know where in the budget the money spent on repaving Week Street AGAIN and digging up Gabriels Hill came from but I feel it could have been done in a less elaborate way on a smaller budget and still improved things. Very dissatisfied with Maidstone Borough Councils refuse service, 13 missed bin collections this year at my property alone has lead to a booming rat and rodent problem. The traffic is getting worse with absolutely zero investment in the roads and infrastructure. The Langley relief road is an absolute must and should have been built before the mass development of south maidstone. Since moving to south Maidstone, having lived in North Maidstone previously, there is a huge imbalance in funds and expenditure and yet the council tax is more than double for what is an old council house. Be ashamed of yourselves. Maidstone is currently spending money on revamping Week Street and Gabriel's Hill with new block paving etc, however this is pointless as the town as a whole does not encourage people into the town. Parking fees are high, empty shops and a degree of shabbiness in general e.g. the old cinema and buildings in disrepair in Lower Stone Street. Maidstone does not deserve the title of County Town in fact Tunbridge Wells deserves the title more than Maidstone. Mote Park was bequeathed to the people of Maidstone, people have to pay to park in the Park (not exactly inviting people to a very beautiful resource in Maidstone). Accessibility to support and help from office based council staff and clarity as to services and contact details. This is my opportunity to say the bridge over Loose Road is disgusting . What example to set for young children. It is completely full of litter ! Cans mostly. As a council tax payer , I feel very strongly that some areas are neglected. When we have an event on Maidstone , certain areas are cleaned so why not do these neglected areas. It seems to me there is too much concentration on providing the number of homes required by 2020 that everything else, relating to our beloved town, is going by the board. Also I am not sure doing up the town centre is going to make much difference either. It is getting spoiled already, people spilling food & drink which never gets cleaned up. Business rates are too high. The town is becoming noticeable shabby and unkempt. Street cleaning, and generally keeping the town looking smart so that businesses and tourists would want to come here has deteriated considerably. I dont think any of you people that make the decisions, travel on the same roads as us, park in the same car parks, use the same doctors, schools, I really do think you are so far detached from reality its beyond belief. You are allowing building in the ludicrous places with thought for traffic congestion, polution, local residence, hospitals schools, local services, its criminal how some of these decisions are allowed through. The atmosphere in Maidstone and it's environs continues to feel much more intimidating - particularly for those of us now retired and coping advancing years. More police officers, more street wardens (which really have not worked at all) and increased CCTV coverage. Too much is given to housing development in an area where there is poor transport and road infrastructure. Leading to frustrated drivers and higher levels of pollution. no investment in car charging facilities or change in planning for future developments to reduce housing density. Get planning councillors to visit new developments and answer for what they have done. Shepway estate has a great housing ratio but too few houses per inch. We need to change the budget priorities to reflect what we want in the future and not just the now. Keeping the Borough clean and welcoming for visitors and residents alike. Don't waste money on projects that do not help a lot of people. The money spent on doing up Gabriels Hill again could have been spent on play areas being look after. Ensure new builds have 2 parking spaces minimum. Plan with care and thought for the community. Economic growth leads to employment. People need accommodation and a decent environment to live in. Prosperity can then fund the other services. Introduce a law like in Germany where residents are responsible for the immediate area around their property for cleanliness and snow and ice clearance during the winter, thus relieving some of the pressure on the council whilst making the town look better. 1. Businesses in the town centre are folding like ten pins. Council business taxes are killing local businesses - they are not sustainable. You just do not get it. Your revenue source is dying a natural death due to online shopping, expensive parking fees, ticket wardens slapping tickets on cars etc.. Further, increasing business taxes will exacerbate the situation. More local people loose employment when the busiesses close shop. These folks require benefits. And it goes on - you are got yoursld into an endless pit!!!!! 2. The future of shopping and business is not in the Maidstone city centre zone. You need to build large hypermarkets with shopping centres (not Bluewater as that is not what is required) and office parks in the outer zones of Maidstone. This will also eliminate the bottleneck of all the cars having to go over the river bridge. You will have to accept central city decay like many modern cities in the world. You are living in the past if you think you can maintain businesses in Maidstone city centre. People would be far happier to shop and work in their localaties with good access to motorways. I feel more should be done for unsociable behaviour. Also the roads around my home are in great need of resurfacing which makes the whole area look bad - I have requested this and been told that they will not be done. SERIOUSLY DISAPPOINTMENT AT THE 3.1 MILLION SPENT ON TOWN REGENERATION APPRECIATE SOME AREAS NEEDED RESURFACING BUT THERE ARE LESS EXPENSIVE ALTERNATIVES GABRIELLE HILLS BLOCK PAVING COULD HAVE BEEN JUST A QUALITY TARMACED AREA ( OR SURFACE LIKE DRIVE FOR LIFE!) , AND REMAINING MONEY SPENT HELPING MORE COMMUNITY PROJECTS SUCH AS YOU ADULT SOCIAL CARE AND GETTING OUR HOMELESS OFF THE STREET WHICH SEEMS TO BE ON THE INCREASE .. ITS GOOD TO HAVE FULL DISCLOSURE ON WHAT YOU SPEND BUT I THINK PEOPLE WILL SCUTINISE IT. JUST FEEL THERE MAY HAVE BEEN ALTERNATIVE LESS EXPENSIVE ALTERNATIVES . An urgent increase in support for fibre broadband rollout to rural areas. As a County town I feel that more needs to be done to encourage businesses back into the town centre and bus transport needs to be improved to encourage less car travel. Roads are gridlocked because it's as cheap to park in town and is more convenient than it is to take a bus. Businesses need to be encouraged into the empty shop units and there needs to be some limit on nail bars/ tanning shops and mobile phone shops. We are losing the heart of the town as the big high street names move out. Please use the empty shops. I think the role of the council is to make Maidstone an attractive place to be, if this is achieved then economic development will follow to fund the nice to have services to benefit everybody but especially the disadvantaged. Maidstone has become on of the busiest town with more traffic jams and less parking spaces. MBC has to find solutions to decrease traffic chaos and build hi-tech parking places. Priority must be to tidy up the borough. More public bins, higher frequency of public bin emptying and more fines for littering. Without proper attention to Community Safety and financing on Policing, many of the councils objectives will be limited/damaged in their desired effect. As I said earlier, our roads and facilities just cannot cope with all this new building going on, it is total madness. Will those on the Planning Committee please take note, open their eyes and take a look around, and put the brakes on - to save our town and villages - no more building please! Planning has been poor, too much housing development south of Maidstone for the roads and infrastructure to cope with. There is a need for more infrastructure with so many people and vehicles in the South. The Council currently perform badly in contrast with other councils on environmental issues - this must change! I think a huge issue facing the borough is infrastructure which is already failing to cope with an increase in housing in the borough. Therefore planning and infrastructure would be priority areas before Maidstone turns into an overcrowded, grid-locked satellite of London. This isn't NIMBYism, the borough has become dreadful for traffic with major housing developments built on all the major roads into the town. I think you should have a really good look at Maidstone I have lived in the county town for the last 18 years and the roads are a night mare. I pick my wife up from work at the collage at 1730hrs most nights and we will not arrive home before 1900 hrs.. the streets of Maidstone are worse than London...a better road system should be looked into.. also housing is a joke.. my wife and I pay �1,000 per month but cant get a mortgage or social housing we will be pensioners soon you do the maths.. Sort the roads out to improve traffic flow especially in the Maidstone Town area. This would be of benfit to all other services and also help businesses. Stop the closing of motorways which causes chaos to all the surrounding areas, businesses and services. Every time the cost for waste removal goes up the amount of fly tipping increases, hasn't any one on the council noticed this! Less waste - delivery projects and services more efficiently�.we pay enough but not seeing value in general...roads falling apart, less visible and town centre is a mess. The Planning Department is a disgrace and officers appear to be siding with developers more often than not, rather than listen to parish councils, communities and residents. This whole area should be reviewd and savings made. Poor decision making costs. Stop allowing building of houses everywhere and ensure the transport infrastructure can cope. Ring road is needed ASAP as the number of lorries causing issues on local roads is terrible. The town needs better and faster rail links to and from London, and it shouldn�t be an afterthought. Canterbury, after all, is not the county town; nor is Ashford or the Medway towns. Monies must be found for the Leeds Bypass and other road improvements urgently. Grass verges outside people's homes could be done on A voluntary basis by householders. Council cutters do not do job properly . The council needs to prioritise road links, especially traffic implications when agreeing new housing developments, Maidstone is coming to a stand still due to insufficient road links, creating additional costs to business and causing residents daily difficulties which affect quality of life. Encourage residents to recycle and have great collobration between business and public services on this. Mostly services that apply to the town's elderly population. Some of the areas on the outskirts of the town for instance need a better and more reliable bus service. They are in between park and ride and the town but due to the hilly topography on all exits from the town bus services are essential. Social care, especially for those who need help with fees and charges. The biggest issue in Maidstone is transport. - the trains take as long to get to London as they do from Birmingham(!). Why? we're only 40 miles away! They cost an arm and a leg as well - it's no wonder everyone seems to be driving, which leads me to... - the road network is a disaster; - it was simply not acceptable to have the Tonbridge road blocked for over 6 months. - the Fairmeadow interchange alterations seem to have made traffic worse. Frankly is seems as if the Maidstone Mafia are running some kind of transport cartel, blocking off roads to line their pockets - At one point we had both the Tonbridge and Lond Roads blocked, and then as soon as the Tonbridge road reopened, BOTH bridges we closed!! You couldn't make it up. One suggestion to improve things marginally might be to make Farleigh Bridge southbound only (and Teston Bridge northbound only) to allow some traffic to avoid the centre altogether. there should be more emphasis on providing infrastructure for alternative travel - cycling, walking, buses - when aproving housing development. also make it possible for children to attand schools near their home. Need to increase opportunities for safe off road cycling & public transport generally.